Comment: Looking for free estimate on radiant heat in basement floor that is leaking. 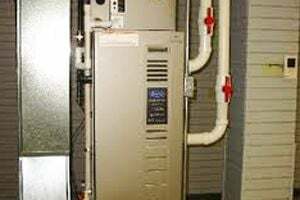 Comment: Cracked heat exchanger on current furnace. Comment: Should have it cleaned. It has been a while. It made a noise during one running cycle the other night, but it hasn't made the noise since. The noise just made me think of getting it serviced. Comment: Furnace not blowing hot air. House temp 59 degrees. Furnace does not stay on. Comment: Currently have a boiler furnace and interested replacing with gas forced air. Air conditioning ductwork in place. Oak Lawn Heating & Furnace Contractors are rated 4.77 out of 5 based on 2,870 reviews of 48 pros. Not Looking for Heating & Furnace Systems Contractors in Oak Lawn, IL?